The College of Dance 2018 academic year started on Monday 17th September 2018 and it was a delight to welcome a fantastic bunch of students this year into the College. It was great to see so many returning students back for their second year and joining them were a fresh intake of new diploma course and transition year students. We have a wonderful group of talented and hardworking students and Term 1 was filled with fantastic classes, performances and workshops. In term one alone there was a total of six performances including UCD’s Inter-varsities dance evening, DANCEPlatform performances in the Helix, St. Catherine’s Sports Centre Dance and vocal performances. The students loved these various opportunities to perform on stage and it provides a fantastic part of their overall education. It also certainly kept us all on our toes as part of a busy term one. As normal, we had a varied program of workshops from international professional performers and choreographers. These special events are an important part of the College’s calendar and introduce the students to such a wide variety of dance techniques and skills. The first workshop was lead by Stephan Koplowitz, an award-winning director, choreographer and media artist specializing in site-specific multimedia performances. Stephen had choregraphed original works all over the world include London’s Natural History Museum and World Financial Centre, New York. Stephen was for ten years also Dean of the School of Dance at the California Institute of the Arts (CalArts), Los Angeles. Stephen’s workshop (pictured above) focused on contemporary creative choreography. It used the human body as its influence. The students loved the opportunity to move outside their normal comfort zone and found this challenging workshop highly rewarding. There were also workshops but two College of Dance graduates, Cian Hughes and John Brannoch Walsh. Cian Hughes began dancing at a young age but only started his ballet training at age 16 when he joined the College of Dance. After graduating from the College, Cian went on to further his training at the prestigious Central School of Ballet, London attaining a BA Hons Degree. Cian has performed in various ballets and with companies including Kidd Pivot Company in Polaris at Sadlers Wells Theatre, Ballet Central UK Tour and The National Ballet of Ireland in The Nutcracker and the world premiere of Giselle. Cian has just finished performing in CATS The Musical playing the roles of Pouncival and Mr. Mistoffelees and this was the inspiration for his workshop. The students loved working with Cian and had a blast performing numbers from CATS the Musical. John Brannoch Walsh, another graduate of the College of Dance, went onto train at Laine Theatre Arts, London. John has had a sparkling professional performance career in many famous musicals including Matlida on London’s West End, Chicago, CAST The Musical, High Society, Guys & Dolls, From Here To Eternity, Cabaret, Priscilla Queen of the Desert and Monty Python’s Spamalot. 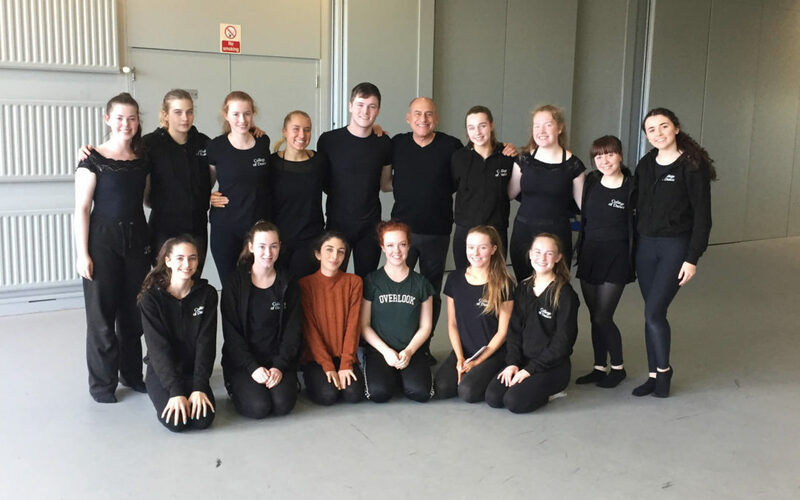 John taught a Chicago musical workshop and the students loved John’s high energy choreography and learning dances to famous songs such as All That Jazz and the Cell Block Tango. We also had our first exciting College of Dance Open Day of 2018. These are always great fun as students show off to parents, friends and new potential students the work which has taken place during the term. Students showed Ballet, Contemporary, Jazz and Musical Theatre class work as well as excellent solo and group performances. Some of the visiting friends and potential new students also got to take part in the vocal class performing a number of musical theatre songs. A busy but great start to 2018 at the College of Dance…!